We have to connect with people in the present and answer difficult questions using just a few words and absolutely no jargon. 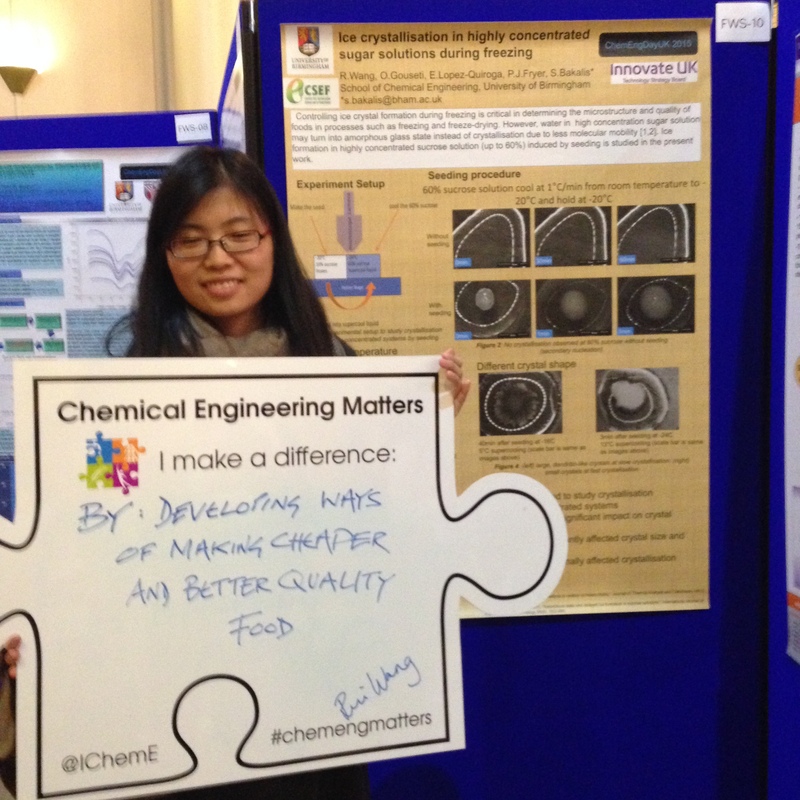 I’ve spent the last two days in Sheffield at ChemEngDayUK 2015. It’s our national research meeting in the UK and it’s been a huge success with over 200 students talking about their work across the wide spectrum of chemical and process engineering. As you might expect it’s been a pretty standard affair with the oral and poster presentations that one normally finds at a research conference. But this year we set the participants an additional challenge. 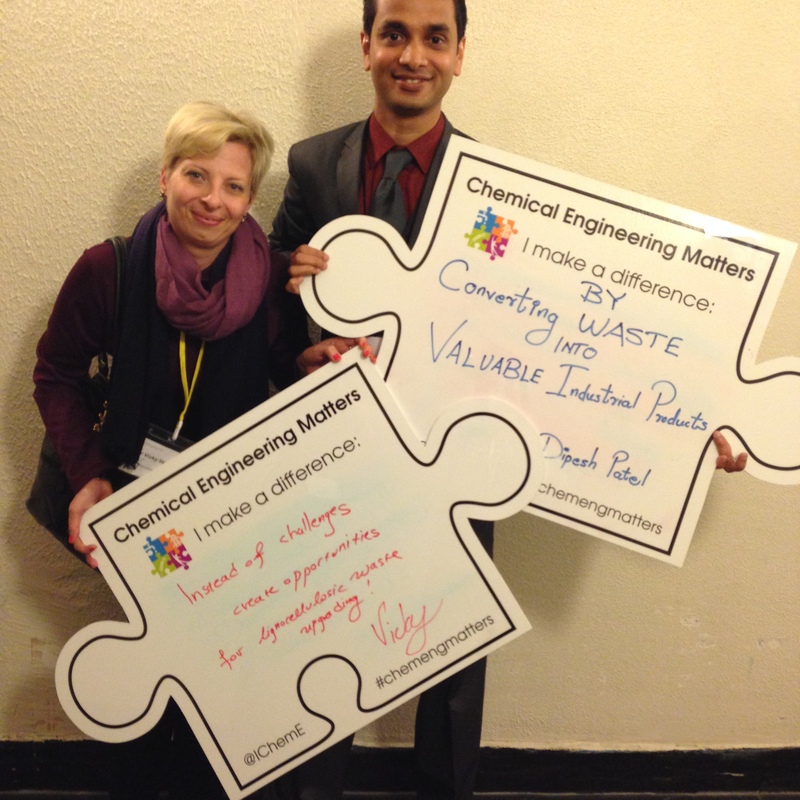 Inspired by IChemE’s Chemical Engineering Matters initiative, which makes it abundantly clear that chemical engineering is a vital part of the jigsaw that is 21st Century living, my colleagues Alex and Trish were out and about at the conference armed with a GIANT jigsaw piece, a stack of marker pens and a camera. You can see the full collection of jigsaw-related snaps on Twitter. Re-tweets are very welcome. 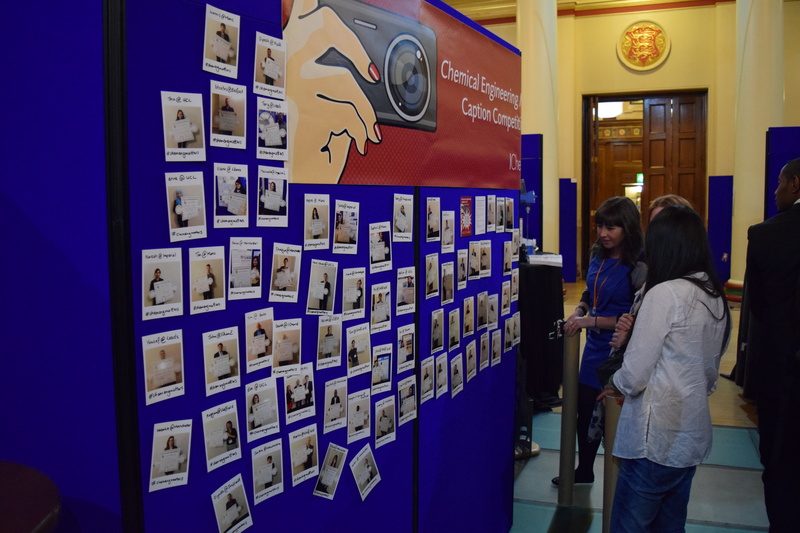 ChemEngDayUK 2015 provided a great forum for chemical engineers to showcase their research. The event gets bigger and better every year and I want to express my thanks to Professor Philip Wright and his colleagues at the department of chemical and biological engineering at the University of Sheffield for putting on such a fantastic event. The baton has now been passed to the University of Bath who will host the next meeting in 2016. It never ceases to amaze me how forward thinking and innovative the chemical engineering research community can be. The potential to create, maintain and improve quality of life is enormous. So just like our jigsaw high jinks in Sheffield over the past few days, my challenge to you is to tell me where your work makes a difference by commenting below. And here’s a further challenge, before you click the ‘Post’ button ask yourself the question, “Would my parents make head or tail of this?” If you aren’t sure, have a rethink and have another go. 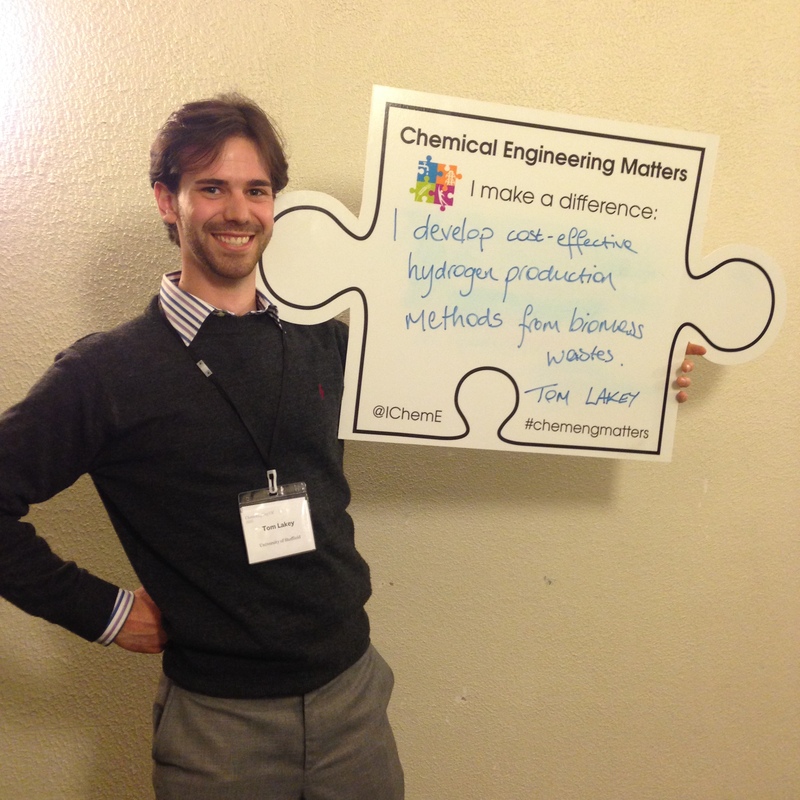 Stand up, speak out and tell the world why chemical engineering matters. But don’t forget to do it in a language that a non-expert can understand. I make a difference, as I calculate No. of trees per individual that can compensate the amount of CO2 elimination which is caused by the individual. All the need is, the sense of responsibility in humans to make them count for environment protection. Geoff, I make a different because I design pharmaceutical manafacturing facilities to safely produce high quality products to help improve human health. I liked the jigsaw puzzle idea but we are still talking to ourselves. We need to be talking to everyone else. I know practice makes perfect but until we get out there and push we are going nowhere. I have tried complaining when companies such as British Gas use engineer when they mean technician. I have even formally raised a complaint to the advertising standards agency. However, most of the time I am just a lone voice. 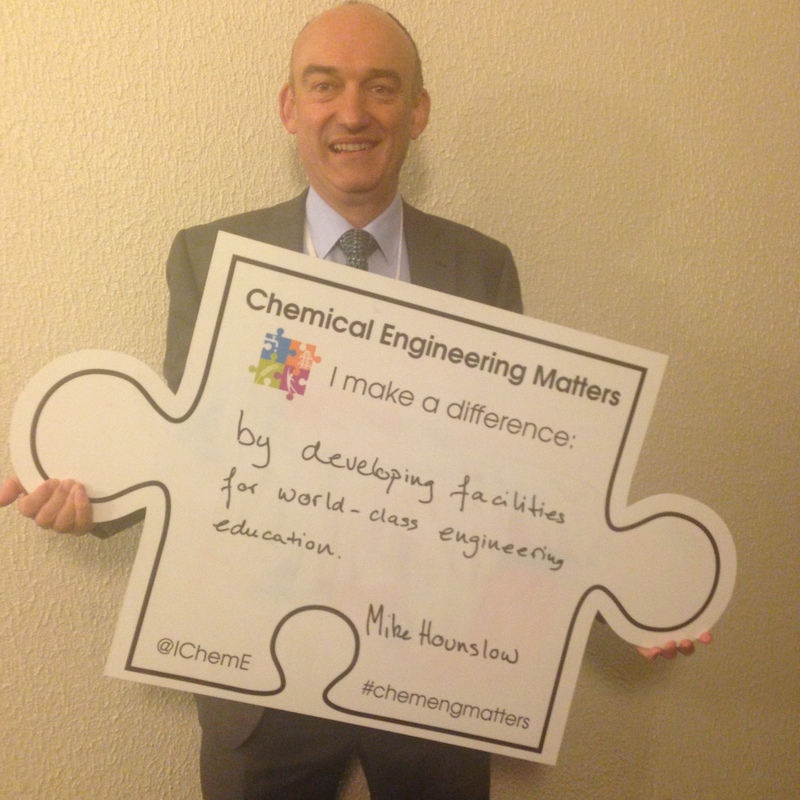 I have been a member of IChemE for 40 years and over that time engineers have moaned about their status and done virtually nothing about it as individuals. We are passionate about the work we do but not passionate about telling other people about what we do. To me engineering is the art of making science work for humankind. 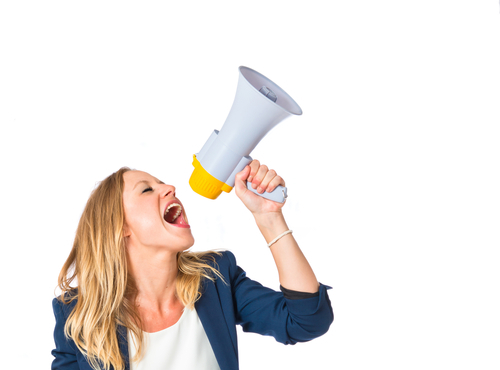 We need to build the art of telling people how we do it. Reblogged this on Mutagaya Solomon's Blog.